A challenging first day at Orona Atoll – heavy rainfall, strong winds, ocean swell, a skiff needing repairs and then a warning about a tsunami moving across the Pacific Ocean and destined to reach us at 3 a.m. tomorrow morning. It is also 17 days into our expedition and the team is starting to feel a little fatigued. Everyone is encouraged to take days off if they need it to re-energise, but scientists are a stubborn focused lot. We recognize that each day out here is precious. A day resting means one less day of data. Our dives at Orona Atoll were very different from others. Our first dive was on the windward side, and we jumped into a spectacular healthy, diverse coral community at a site called ‘Aerials.’ Free of bleaching and with little disease, the corals were thriving and densely packed together. We also saw a couple of black tip sharks early in our dive, and the water was abuzz with fish. 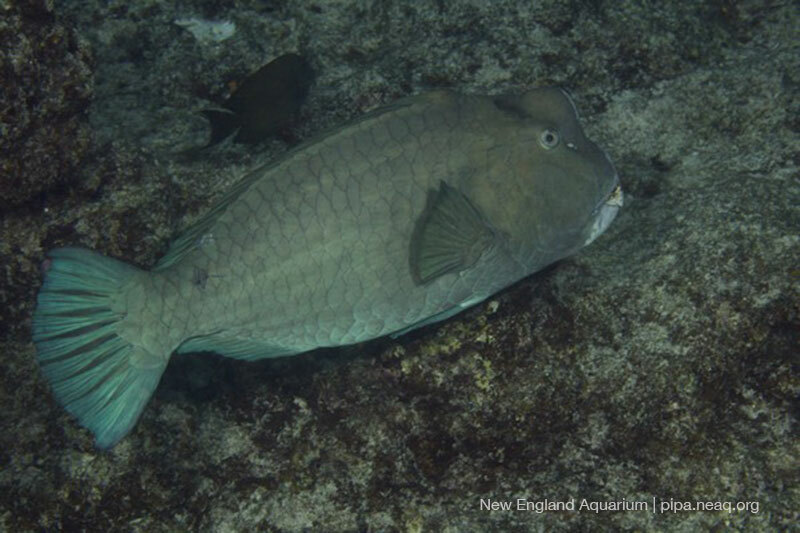 The highlight for the fish team was seeing bumphead parrotfish, which have remained elusive on the other islands. 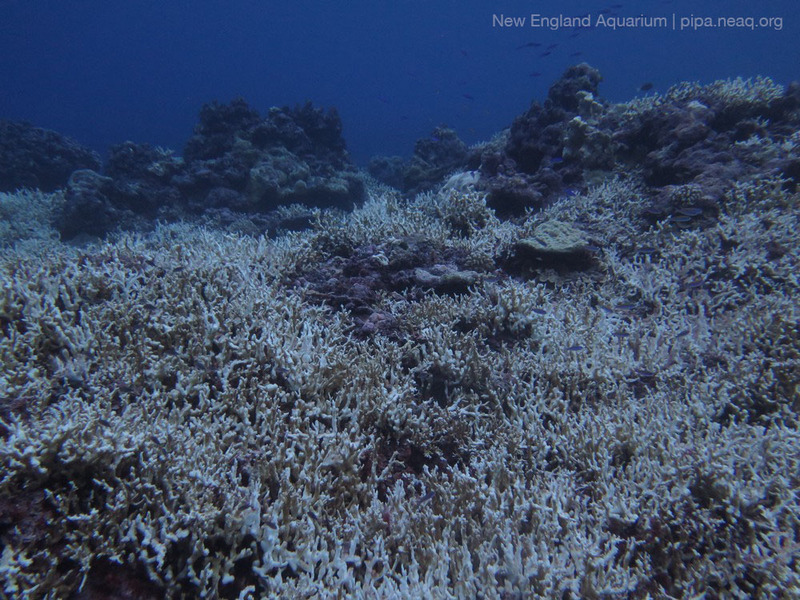 Our second dive was characterized by a very bare reef, with little living coral community. During our early expeditions, we hypothesized that nutrients may have been leaching from the lagoon onto the reefs causing poor conditions for corals. However, a decade later we know this is not the case, and the likely cause is from an old ship wreck that has been on that reef since 1936. We are starting to build up evidence in the Pacific of ship wrecks causing mass mortality of corals, and leaving behind what is called a ‘black reef.’ Peter Gawne and I have been collecting water samples, and in collaboration with Jessica Carilli and Randi Rotjan, we will be doing experiments towards the end of the trip to assess whether iron from these ship wrecks are leaching out and causing these extensive black reefs to form. Over the next three days Yashika Nand and I will have a chance to conduct extensive surveys all around the island, weather permitting. We have just come back in from deeper water where we spent the night, waiting for the tsunami to dissipate by the time it reaches us in the Phoenix Islands. All dives are now back on, as we are safe and unaffected. Back to the blue!